New Orleans may conjure up images of Mardi Gras, the French Quarter, adult beverages and late nights but this beautiful city offers plenty for kids as well. 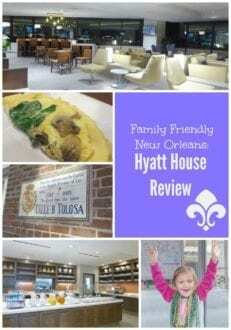 The Hyatt House New Orleans Superdome area location is a short streetcar ride from the French Quarter but away from the hustle and bustle of nightlife. The apartment-style suite hotel offered a true landing pad in which to spread out with kids and enjoy some quality family time in the Big Easy. 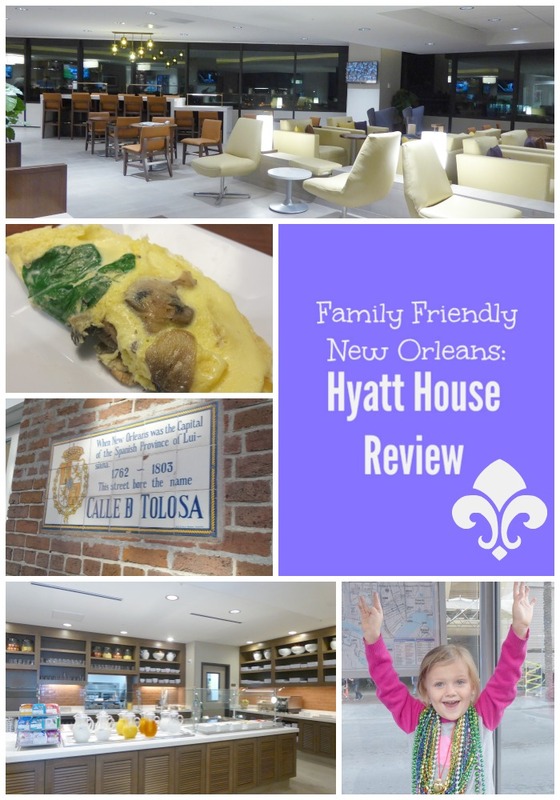 Overall, the Hyatt New Orleans delivers for families and business travelers alike. Large amounts of space in the rooms and lobby lend a welcoming feel and are unusual for its city center location. 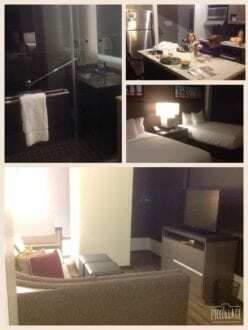 The extended stay style of the hotel play well with the idea of the room as a landing pad for busy families. When city activities are done families can return to spend quality time together in the room. The space! In a city of cramped hotel rooms, the Hyatt House New Orleans truly had something special going on with the separate living/sleeping areas. The furnishings were modern and comfortable with a great sleeper sofa in the cozy living room area. A full fridge, microwave, cooktop, and fully stocked kitchen added to the convenience. The lobby. 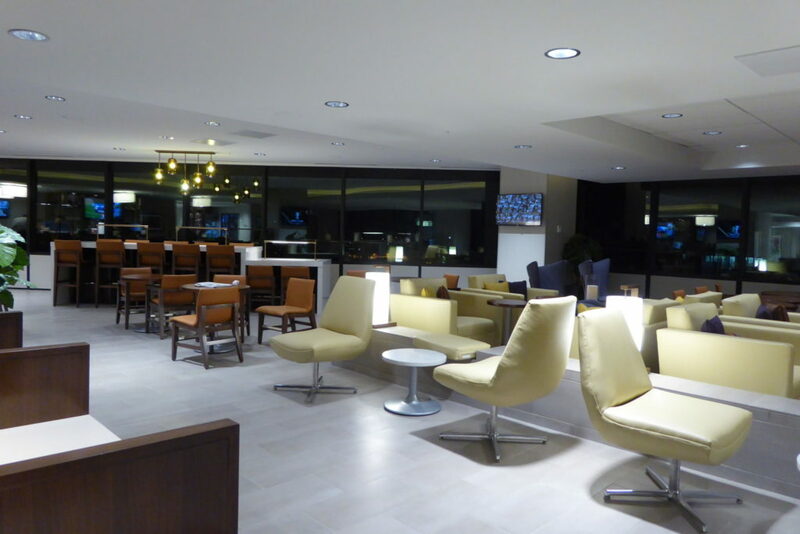 I travel a lot for work and generally the lobby doesn’t weigh into my decision on a hotel but the lobby area at the Hyatt House New Orleans had sweeping panoramic city views and so many different seating areas. It was easy to carve out a space for your family to relax and share a snack or drink. The girls were particularly fond of a square “cave” of couches with a TV. Perfect for football watching according to my five year old! The free breakfast was very well done and, because of the huge lobby, it didn’t feel crowded at all no matter how many folks were down there. There were at least 3 attendants to the breakfast station plus 2 omelet chefs on both weekend mornings that we were there. I have never seen that many folks on deck at any other hotel breakfast. As a gluten-free gal I was thrilled to have an omelet station because it meant that I could have a hot breakfast. Choices my kids went for included rotating French toast/pancakes, sausage/bacon, and fruit. The wifi was speedy which was great because I found my cell service lagged in some areas of New Orleans while we were out. Items available to order to room. The Hyatt House has a menu of items that you can order to your room to boost your experience. There are numerous games available to borrow to play with your family. My opinion on this should change in 2016 when the parking garage being built for the hotel is completed (and right next door) but currently the hotel has 194 rooms but only 32 valet parking spaces. This means that valet was completely full when we arrived late Friday night (and still full Saturday and Sunday). There is a garage on Girod Street but obviously having to head over to it with two kids when I wasn’t expecting to was a bit of a bummer. The garage was connected to the Hyatt Regency and had a walkway straight to the Hyatt House so it was a safe and easy choice. Beware event days though! In order to get into the garage you will need to pay cash ranging from $15-35 for “event parking”. Be sure to let them know you are staying at a hotel and they will pull a time stamp ticket for you also. When you depart present both tickets and they will credit the total with the amount of cash you paid upfront. The location is great for sports fans and also super convenient to the streetcar system but the proximity to the Superdome means you need plan a little more strategically on arrival/departure times if there is a game. It took us close to 25 minutes to get from the exit down to the hotel turn in when we arrived as a game was getting out. This would normally barely take 5 minutes. Then when we went to park it was 25 minutes to get around the block to the garage. Timing will be your friend here! The hotel space starts on the 11th floor so all of the guest rooms are high above the roadway. There is a fitness center in the hotel and a pool that is located next door in the Hyatt Regency (all internal walkways). The rooms are large and comfortable with an abundance of plugs. Bedding was soft and comfortable with a nice extra blanket in the closet that wasn’t scratchy. I LOVE apartment-style suites. Nothing makes me happier than putting the kids to bed and shutting the door! The big showpiece in these rooms is the living area. With a large wrap-around couch a cozy cocoon for the family is created. The girls spent a large amount of time playing on the couch and moving the ottomans around to make a fort. The kitchen features a large counter with stools and a rolling office-type chair. For those with littles, the stools may be a little high. I had to set some rules around the office chair which quickly became a favorite toy in the room. I had visions of exploring the local ER with a broken-boned toddler. One other quick note is that the kitchens are fully stocked including with knives. Check the drawer under the cooktop and move yours up if you are traveling with kids. The bathroom was a huge hit for two reasons. It had a sliding door- which my girls consider the “funnest” thing ever. Also there was a GIANT shower. I always appreciate well thought-out hotel showers. This one included 2 different shelves for toiletries as well as a lower shaving ledge. One thing that made me a big Hyatt House fan was they didn’t just advertise the “green” hang your towels, save the earth mentality- they lived it. We hung our towels and they weren’t automatically replaced with fresh ones like in many other hotels. 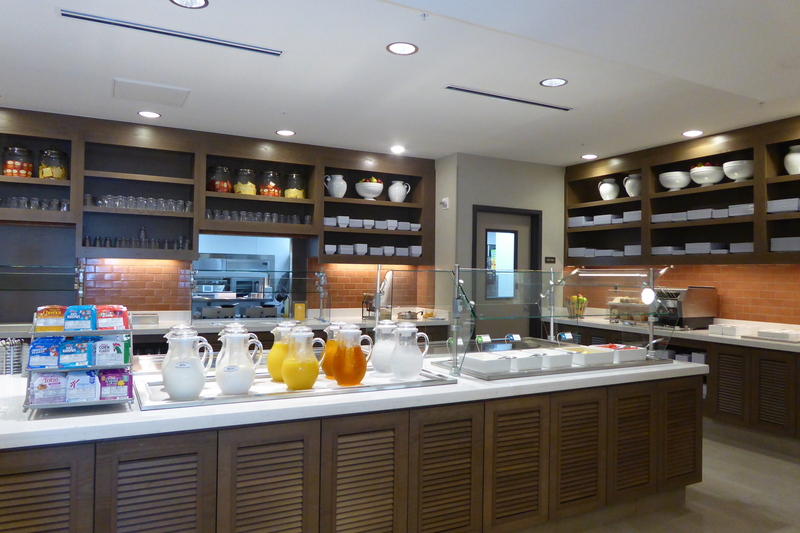 Dining in the hotel is in the lobby at the Hyatt House New Orleans. The H Bar serves a small menu of appetizers, salads, soups, and American fare. Pizza, burgers, and sandwiches make up the bulk of the menu. This hotel is new and they are still hitting their stride with the restaurant. The food was good for hotel fare and prices were on par for the area. We ventured out as the only gluten free option for me was salad. The area has many walkable restaurants with many more a short streetcar ride away. 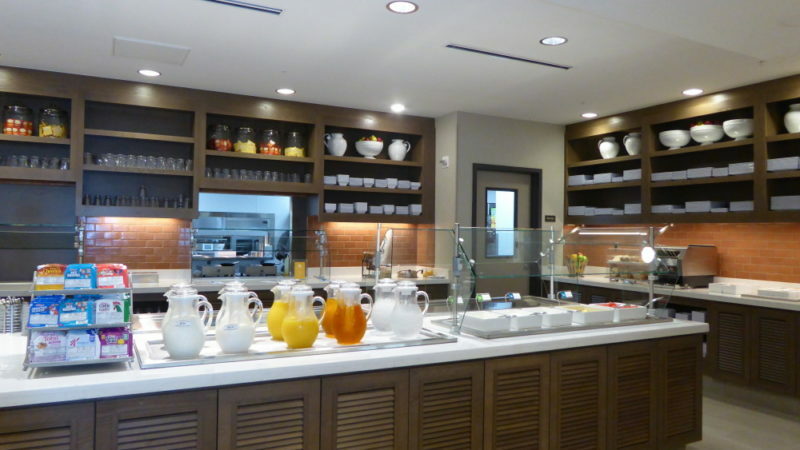 Photo Credit: Nasreen Stump Hyatt House New Orleans expansive 11th floor Lobby. We stayed here in December 2015. Prices that I have seen range from $130 per night to $250 per night depending on dates and events scheduled for the Superdome next door.